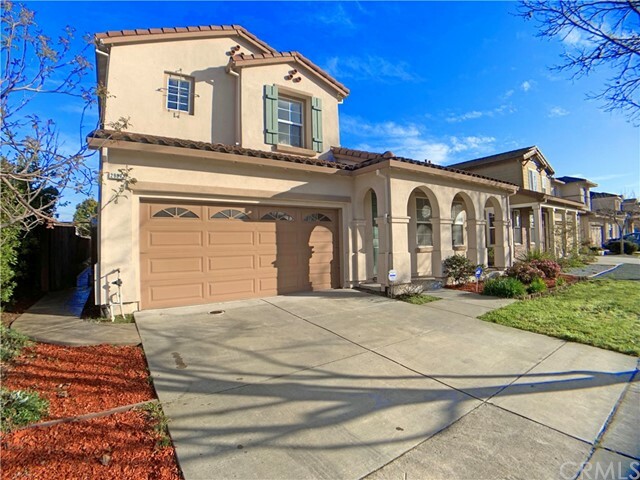 All Hayward homes currently listed for sale in Hayward as of 04/19/2019 are shown below. You can change the search criteria at any time by pressing the 'Change Search' button below. If you have any questions or you would like more information about any Hayward homes for sale or other Hayward real estate, please contact us and one of our knowledgeable Hayward REALTORS® would be pleased to assist you. "Large Hayward house on a cul de sac street. House is structurally sound and ready for a new owner to renovate and restore or take as is. Great view from the backyard deck of The Bay." "Welcome to your dream home! An elegance and functional floor plan , bright 4 bedrooms , 2.5 baths with almost 2500 sqft living space. Quiet and convenience location with newly painted interior and exterior paints. Nice and beautiful new laminate and carpet flooring through the house. PIntercom system built in. Low maintaining yards." "INVESTORS DREAM HOME, MASSIVE POTANTIAL! GREAT VIEW. 4 BEDS/2BATH. SWIMMING POOL NEEDS SOME WORK. BRING YOUR HAMMER AND CREATIVITY! CLOSE TO SHOPPING, DESIRABLE NEIGHBORHOOD." "Live Auction! Bidding to start from $900,000! Terrific turn key 4 bed, 3 bath with a 3 car tandem garage. This opportunity won't last. Enter a gorgeous & architecturally pleasing entryway. The home offers modern appeal & appointments. Open & inviting foyer w/upgraded premium hardwood floors surrounded by plush carpeting & high ceilings. Open floor plan w/high quality JBL surround sound, recessed lighting, designer paint & home monitoring security system including all entry way and window sensors, motion detectors, glass break detector, emergency call buttons. Large open entertainers kitchen with center island, tile counters with back splash, recessed lighting & ample storage. The kitchen opens to the family room & offers direct access to the rare on the market premium lot with large back yard. All bedrooms upstairs with a beautiful and inviting banister to your bedrooms and master retreat. The master bedroom offers dual entry doors, plush carpeting & master bathroom retreat with dual sinks, large walk-in closet, enclosed shower & bath. The tandem can be converted to yoga/ workout/ game room or additional storage. The back yard has textured concrete to offer additional appeal while entertaining. Enjoy the location within Eden Shores & HOA amenities; pool, rec and play areas, clubhouse, picnic, BBQ, basketball & tennis, walking trails & elevated lookout over wetlands. Conveniently located near the 92 fwy, with new and exciting retail business right outside the community." "Brand NEW energy-efficient home ready June 2019! The light and bright Residence 4 is a spacious end unit with plentiful windows on all three floors. Espresso shaker cabinets, granite countertops, fawn subway tile backsplash, wood-look tile, warm toned carpet, EVP flooring in the Refined package. Whether it's a place to spend time with the family, a special date night spot, or a go-to hair salon you're looking for, there's no shortage of things to do around this community. Known for their energy-efficient features, our homes help you live a healthier and quieter lifestyle while saving you thousands of dollars on utility bills." "Brand NEW energy-efficient home ready June 2019! The light and bright Residence 4 is a spacious end unit with plentiful windows on all three floors. Linen cabinets, black granite countertops, beveled white subway tile backsplash, mineral carpet, ash tile and hardwood flooring in our Luxe package. Whether it's a place to spend time with the family, a special date night spot, or a go-to hair salon you're looking for, there's no shortage of things to do around this community. Known for their energy-efficient features, our homes help you live a healthier and quieter lifestyle while saving you thousands of dollars on utility bills." "The four-bed Residence 3 includes a full bed and bath on the first floor and a balcony off the nook. Enjoy spacious Master Suite! Whether it's a place to spend time with the family, a special date night spot, or a go-to hair salon you're looking for, there's no shortage of things to do around this community. Known for their energy-efficient features, our homes help you live a healthier and quieter lifestyle while saving you thousands of dollars on utility bills." "Brand NEW energy-efficient home ready June 2019 The open concept Residence 3 features The four-bed Residence 3 includes a full bed and bath on the first floor and a balcony off the nook and spacious Master Suite. Whether it's a place to spend time with the family, a special date night spot, or a go-to hair salon you're looking for, there's no shortage of things to do around this community. Known for their energy-efficient features, our homes help you live a healthier and quieter lifestyle while saving you thousands of dollars on utility bills." "Brand NEW energy-efficient home ready June 2019! The light and bright Residence 4 is a spacious end unit with plentiful windows on all three floors. Whether it's a place to spend time with the family, a special date night spot, or a go-to hair salon you're looking for, there's no shortage of things to do around this community. Known for their energy-efficient features, our homes help you live a healthier and quieter lifestyle while saving you thousands of dollars on utility bills." "Brand NEW energy-efficient home ready June 2019! The four-bed Residence 3 includes a full bed and bath on the first floor and a balcony off the nook. Espresso shaker cabinets, granite countertops, fawn subway tile backsplash, wood-look tile, warm toned carpet and EVP flooring in the Refined package. Whether it's a place to spend time with the family, a special date night spot, or a go-to hair salon you're looking for, there's no shortage of things to do around this community. Known for their energy-efficient features, our homes help you live a healthier and quieter lifestyle while saving you thousands of dollars on utility bills." "Open Sat & Sun (11AM to 4:00PM) Motivated Seller. Bring Offers. Excellent commuter location to SF or SJ or San Mateo. Close to all FWYS. Almost New home with all permits with energy efficient fixtures. Highly functional floor plan with great kitchen, Family & Living rooms. Washer & dryer hookups inside the house. Copper pipes and sewer pipe also replaced. Both Family room and Master Bed room sliding doors open to great DECK overlooking the backyard. You can build a legal Accessory Dwelling Unit. 1. New Roof 2. New central heating 3. New kitchen - quartz counters with stainless steel appliances 4. Recessed lighting 5. Laminate & tile flooring throughout the house"
"MUST SEE! A modern new construction home built in 2016 offers 3 bedrooms and 3.5 bathrooms with approximately 1,723 sq.ft per public records. The luxurious space has an open floor plan with ample room to enjoy a balcony right off of the kitchen/living/dining area. Sun-filled windows at all corners to enjoy the sunshine! The kitchen includes granite counters, a breakfast bar, stainless appliances and refrigerator, a dishwasher and a farm sink. The upgrades include a SimpliSafe alarm system, RING doorbell, washer and dryer, Nest thermostat, closet organizers in all bedrooms and much more. The bedroom on the first floor has a full bathroom and a large closet, perfect for guests. The master bedroom includes an ensuite bathroom and walk-in closet with organizers. 2car garage offers convenient living for active lifestyles and a L2 charger for your electric car. Located right in the heart of the Bay Area for convenient commuting to to Silicon Valley, San Francisco and public transportation." "Brand NEW energy-efficient home ready June 2019! The four-bed Residence 3 includes a full bed and bath on the first floor and a balcony off the nook. White shaker cabinets with steel gray granite countertops, white subway tile backsplash, rustic EVP, neutral carpet and tile in the Posh package. Whether it's a place to spend time with the family, a special date night spot, or a go-to hair salon you're looking for, there's no shortage of things to do around this community. Known for their energy-efficient features, our homes help you live a healthier and quieter lifestyle while saving you thousands of dollars on utility bills." "Brand NEW energy-efficient home ready June 2019! Residence 2 has a full bed and bath on the first floor and a open concept second floor with a balcony. Enjoy spacious Master Suite! Whether it's a place to spend time with the family, a special date night spot, or a go-to hair salon you're looking for, there's no shortage of things to do around this community. Known for their energy-efficient features, our homes help you live a healthier and quieter lifestyle while saving you thousands of dollars on utility bills." "Come see this bright & cheery open floor plan home in the desired Jackson Triangle neighborhood! Open the front door & take in the elegant rod iron staircase & experience the high vaulted ceilings in the living & dining rooms, which give this home a grand feel. The kitchen comes complete w/granite countertops, SS appliances, & enjoy your breakfast in the eating area overlooking the rear patio. End your days relaxing by the fireplace in the family room, or head up to the spacious master bedroom w/adjoining master bath. The backyard is perfect for entertaining family & friends, with 3 patio areas, a low maintenance yard and 3 fruit trees! Walk around the neighborhood & see lush green views of the hills. Close to shopping, restaurants & easy access to highways." "Welcome to one of the most desirable units in Hideaway Community! Stunning contemporary style townhomes boasts high ceilings w/ tons of natural lights, sophisticated top of the line finishes highlighting each exquisite detail from LED lighting. Ground level entry for bonus/office, laundry room, garage access & the first staircase leads up to a huge living room w/ exquisite wood flooring throughout the floor. A spacious gourmet kitchen with an island for extra counter space. Spacious mastersuite w/ gorgeous dual basins bathrm, upgraded shutters throughout, custom paint gives a modern look, gas fireplace, large pantry, dual zone heating & cooling system, nest thermostat, home security system, video doorbell & fire sprinklers. A spectacular front patio area facing center courtyard for relaxing or entertaining. Close to BART, Hwy 880 & 92. Convenient to shops, restaurants & downtown Hayward. 240v electric charge in large two car garage with storage area. Come look around and fall in love!" "Tri-Level KB built townhome with nobody below or above. Entry level with den/office, 2nd level features spacious living room and large walk-in pantry with window, 3rd level has master bedroom with large walk-in closet and double sinks. Double pane windows and nice carpeting floor throughout the house with plenty of natural light. Convenient location, easy access to Highway 880, San Mateo bridge, Bart station and close to public parks, shopping malls, schools, colleges. Definitely low HOA fees. Move in ready!" "Absolutely and Beautifully Updated with the Finest Of Teak Wood Hardwood Flooring Throughout this Two story Home. All 2.5 Bathrooms have Granite Counters ,Pedestal Sinks or above the counter Designer Sinks and Fixtures. Unique tile Floors in all Baths and kitchen. Open Living concept with high ceilings and rolling Hill and Mountain Views. Custom Designer lite fixtures plus a glass wood burning Mosaic Tiled Fireplace. The outdoor deck and patio complete this Magnificent presentation with with Cherry trees and Plants Galore. Must See To Believe that the Owners took two years to Finish with every Detail..Located in the Hayward Hills near Cal. State East Bay...a Quiet serine enclave of 32 homes in a planned unit development on privately lite streets overlooking the hills and forest. Only five minutes from downtown For shopping, theater, great restaurants and clubs. The best of both city and quiet, truly a jewel in Hayward." "Welcome to the home of your dreams!! This amazingly maintained home recently renovated through out with a beautiful kitchen, recessed lighting, granite countertops, decorative glass tile backsplash, gleaming laminate floors, and eat-in kitchen space. The open floor plan living room is a great entertaining area with laminate floor and tons of natural light. The master bedroom is very spacious with a recently renovated master bathroom and a walk in closet. The two additional bedrooms are well-sized with large windows allowing for an abundance of natural light to shine thru. Conveniently located close to shopping, restaurants, freeway and schools." "Stunning and newly constructed 3 bedroom 2.5 bath beauty! Feel the warmth as the sunlight fills your home with oversized windows in this beautifully designed attached home. Every aspect of this light and bright interior will inspire you- from the gourmet kitchen featuring gas stove, stainless steel appliances, artisan tile backsplash, and granite countertops to the upgraded flooring and shutters in the open and airy great room. All 3 bedrooms are located on the 3rd floor- perfect for a young family. Master bedroom bathroom features a dual vanity and oversized shower. Experience the exceptional details of this contemporary architecturally designed property that include a 2 car garage, plus 2 car driveway parking, spacious deck, interior laundry, ample storage and much, much more in this newly built home! Perfectly located- this home engulfed by the beautiful, family friendly Cannery Park, it is steps to Bart, bus lines, and easy access to freeways for a swift commute." "Charming Single Family Home in the Southgate Neighborhood of Hayward! 3 Bedrooms with 2 Full Bathrooms. 1164 sqft of living space, with a lot size of 5500 sqft. Bright open floor plan, with abundance of natural light. New beautiful modern wood laminate flooring throughout the house! Newly painted interior & exterior, Updated bathrooms. Low maintenance Yard. Backyard has ample room for entertaining, BBQ, and creating your own vegetable/herb garden. Ideal location! Close to Shopping, Schools, Restaurants, Parks, Chabot College & easy access to Freeways 92 & 880. Don't Miss to See this lovely Southgate Home this Weekend! Open House Sat April 20th & Sun April 21st from 1-4 pm." "Beautiful 4 bedrooms 2 bathrooms located in Hayward Hill. Move in conditions, hardwood flooring through out, double pane windows, updated kitchen and bathrooms. Walking distance to Don Castro Regional Park and trails, close to school and freeway. Open house 4/14 and 4/21 1-3PM." "Centrally located Home in Hayward with an open floor plan great buy for first time buyer room to grow close to all conveniences. Open Saturday 4/6 2-4 & Sunday 4/7 2-4 Location Location Location With a little TLC this home will shine once again." "Come see this beautiful Fairview Townhouse with spacious 3 bedrooms, 2.5 baths, and 2 balconies, offer enjoyment of tranquility and wildlife surroundings. Tucked away and nestled above an oak tree is your oasis to come home to. Then wake up to the sounds of birds chirping, deers, rabbits and turkeys. Townhouse backs into nature and commuters dream location. Minutes away from downtown shops, restaurants, freeway access and Bart stations. Walking distance to the Revitalized downtown Hayward, San Felipe Park, and the up and coming LINCOLN LANDING expected completion summer 2019. Also, located within the Fairview Unincorporated Community of Alameda which means inter-district transfer to Castro Valley District Schools allowed and MORE! Thank you for showing."